Returning to your birthplace after being away can carry all sorts of emotions and memories, but returning home to be honored is something special. On October 23rd, Jeremy Rusco returned to his hometown of Great Bend, Kansas to be honored as a speaker in the INSPIRE Speaker Series at the Great Bend Chamber of Commerce. Rusco outlined his journey as a kid from Great Bend to an entrepreneur selling discs as a hobby to owning and operating Dynamic Discs, which employs over 50 people in Emporia, KS. 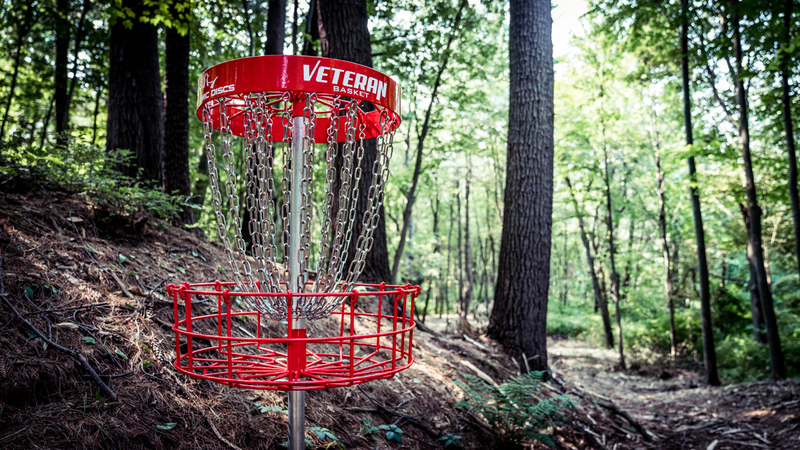 The momentous trip didn’t stop there, however, as Rusco and other Dynamic Discs staff members Eric McCabe, Bobby Brown, and Robert McCall moved to the newly re-designed disc golf course at Veterans Memorial Park. 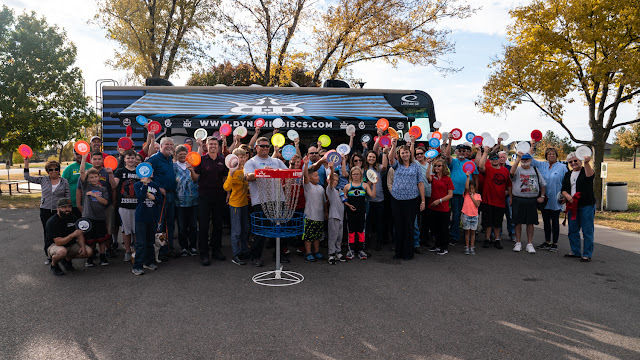 The Great Bend Recreation Center hosted an afternoon re-opening of the disc golf course with a putting contest, long drive contest, clinic, and mini-tournament. Course re-designer Eric McCabe showed players around the new layout which now features red Dynamic Discs Veteran baskets. This brief trip shows how important and easy it can be to grow disc golf in your area! You can also read more about this event in the Great Bend Tribune here. One of the many messages that disc golfers love to share with others is the fact that our sport is able to knit together close communities of people who simply enjoy each other’s company or can help in a time of need. If you’re fortunate enough to be a part of a community like this, then you know exactly what we’re talking about. Yet some players don’t have this personal experience and may wonder just how throwing discs can create a true community atmosphere. We recently spoke with Alan Lappin, an avid player in Lisbon Falls, Maine and learned about how the sport has done some incredible things in his state. 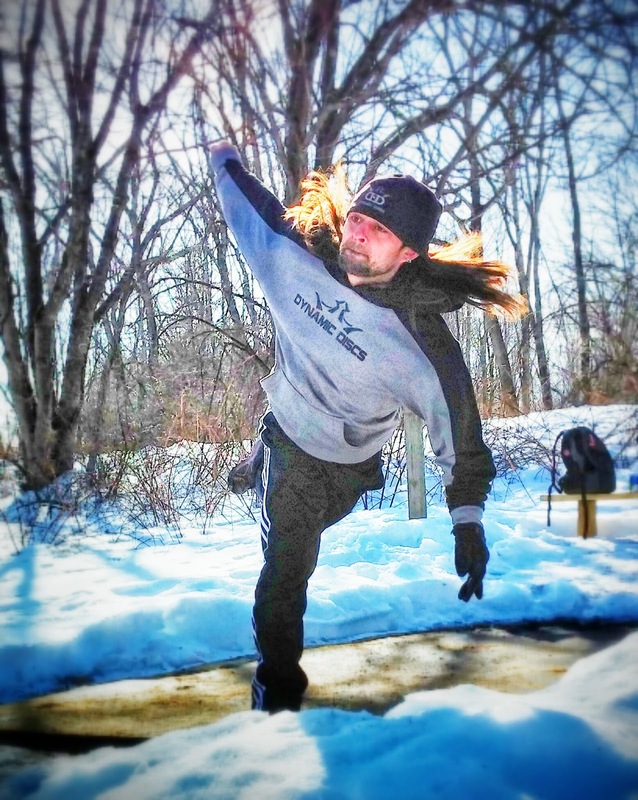 Alan has been playing disc golf for about five years and like many of us wishes he would’ve started sooner. After a friend invited him to play a round he was instantly hooked and dove head first into the competitive scene in Maine. While he enjoys playing to win, Lappin recently took a step back into a more casual role and spends time helping another local player to maintain a course that was installed in the area. Lappin shared that in years past a local broker offered to match their funds dollar for dollar and the group ended up donating over $14,000 to a single cause. 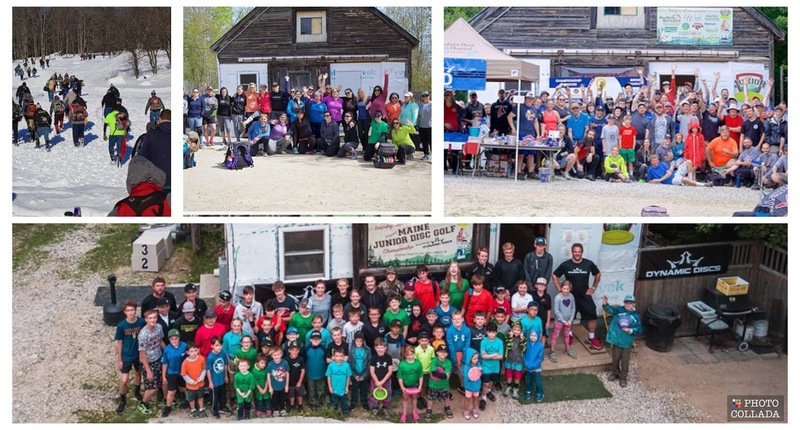 In total, the various disc golf clubs in Maine raise between $20,000 and $30,000 each year for various charities and are always looking for ways they can help others in need. Lappin told us of a local player who lost his wife in a car accident and described how 136 people came out to play a tournament in her honor, raising over $5,000 for the family. 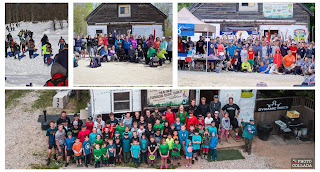 Maine’s disc golf scene has many strong and compassionate leaders who step forward and organize these events, and it’s people like Alan who help to make them such a success. If you’re ever in Maine, reach out to some of the local players and see how you may be able to get involved, even if it’s only during a short trip. The disc golf community is simply incredible there and encourages all of us to use the sport as a way to positively impact the lives of others. Thank you for sharing with us Alan! Head on over to GrowDiscGolf.com to let us know how you and your local club help grow the sport of disc golf. Disc Golf Volunteers - How Important Are They? There are a few sayings that go around when it comes to group settings, yet with “the more the merrier” and “too many cooks in the kitchen” seeming to conflict with each other, how do you know which is the best route to take? 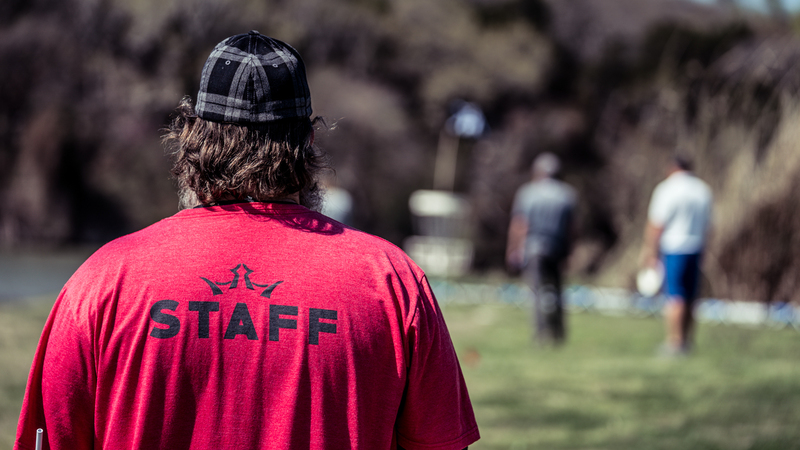 We’re of course talking about your role within the disc golf community, and in addition to being a local tournament player or an on the road professional, the ways in which you donate your time are equally as important as how well you do on the course. Nowadays everyone is busy and our calendars seem to be stretched to the max, but when you really think about it, spending some time to volunteer within your local disc golf community is invaluable. With the off-season nearly here, let’s examine the true impact that donating your time can have on the sport. Think back to the last tournament you attended and really analyze all of the work that went into making it a success. Managing sign-ups, organizing players packs, and making sure everyone knows where all the OB is are just a few of the things that happen when no one’s looking. Tournament directors spend hours upon hours of unpaid time making sure their event goes off without a hitch, and the more helping hands they have the better. So how important are volunteers when it comes to local events? The answer is so monumental that it can hardly be put into words. If one person was responsible for everything under the sun when it comes to running a tournament, we’d have events that are of a lower caliber as well as some pretty stressed out TDs. Although the weather is about to start getting pretty nasty, the trees keep on growing and sadly, people still keep leaving their trash at the course. Winter may not be the most ideal time to host a work party or five, but a little bit of maintenance during the off-season does help to lighten the load come springtime. We know, it’s cold, but before you know it all of the moving you do will warm you right up. Again we ask, are volunteers really that important when it comes to course maintenance? This too gets a resounding yes! Even on some of the smallest courses you’ve ever played, the holes spread out over acres and acres of land. Mowing that alone is a tall enough task, plus when you add in the possibility of fallen trees and general cleanup, it becomes far too much for one person. Even the busiest people alive can carve out some time in their life to volunteer with a group they care about. 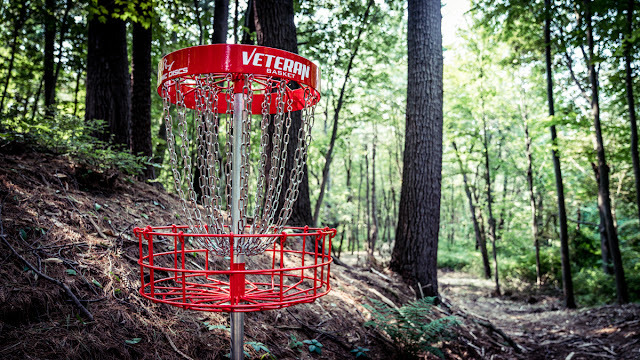 Most of us are completely obsessed with disc golf, so why wouldn’t that be the first thing you think of? It doesn’t take much - even one or two hours each month would go a long way to help other local players who are in charge of events and maintenance. Just think of it as your small way of giving back! Do you volunteer with your local disc golf community? Share with us the ways in which you’ve found it to be personally fulfilling in the comments below! People who are naturally inclined to play sports often pick up disc golf and never look back, learning about discs and mechanics as they go. Yet for others who are hesitant to try something new and feel overwhelmed with the amount of information that’s out there, the sport may seem too large to grasp. If you’re introducing disc golf to a friend or family member and want a bit of help easing them into things, you may find that our resources page on the Dynamic Discs website can be a big help. Not only does it contain information that can teach a new player about a variety of disc golf elements, but more seasoned players may even learn something new! Let’s check out a few of the sections that are particularly helpful. 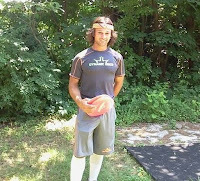 A lot of this information may be familiar for those who have been playing disc golf for a while, but when you’re trying to explain the sport to someone who has never thrown a disc before, you may find some of this verbiage to come in handy. Right off the bat, we dive into the different types of discs and how they may fly for newer players. Keep in mind that for us, discs are finely crafted tools that all perform various functions, but for a new player, it just looks like a frisbee. Having them understand the basics of distance drivers, fairway drivers, midranges, and putters will help in the early parts of their game. Our Beginner’s Guide section also gives some detail as to what flight numbers really mean and how you can have a better understanding of what a disc will do for you based on that information. Finally, we review the types of plastic available and cover the options you have between the Dynamic Discs, Westside Discs, and Latitude 64 lines. 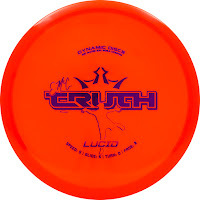 Beyond just understanding the various types of discs and the plastics available to them, beginning players can really benefit from an explanation of what each mold may do for them. We spend time crafting descriptions for each of our discs so that people know what they’re buying - after all, how frustrating is it to blindly purchase a disc and then realize it’s not the one for you? The distance drivers section includes everything in the Trilogy lineup, starting with speed 15 discs and moving down to speed 11 options. Discs are organized by stability for ease of understanding. Our fairway drivers are listed similarly and range from speed 10 to speed 6, while midranges and putters both feature discs designed for slower shots. While we’ve intended our resource section to be a tool for all new and current players, it can be a lot of information all at once. If there’s a specific area that you want to brush up on or teach a new player, stick to that topic before making it a personal mission to memorize the entire section. Written information can be a valuable tool, but there’s also nothing like heading out to the course and throwing some plastic to see what truly works for you. Who do you know that’s awesome at disc golf and even better at drumming? If you’ve met DD team member Andy DiFronzo, he’ll be the first to admit that he lives for both activities and if he could do them both full time, he would! But there’s so much more to this man than just extracurricular activities, as we got the chance to talk with him and learn about his deep-rooted commitment to the sport we all know and love. A good seed indeed, DiFronzo has been competing in sanctioned tournaments since 2006 and as a 996-rated player, knows a thing or two about how to represent himself and the team both on and off the course. He describes being a part of the DD team as an honor that allows him to be a part of our big family. Golf discs and drumsticks are both passions for Andy, and he says that if he wasn’t working full-time and trying to play in disc golf events whenever he can, he would be in a band playing shows every weekend. “Music is one thing I’m better at than discing!” he admitted. 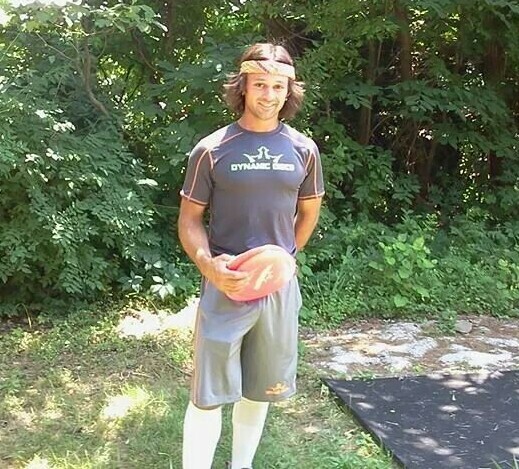 While he would love to hit the road and tour regularly, both with disc golf and a band, he has his feet securely on the ground knowing that there are bills to pay too. When it comes to the course, you’ll find Andy hitting his lines and cashing his putts with his three favorite discs: a Soft Mercy that he can’t play without, the Escape that he describes as giving him “freakish distance,” and the Fugitive, his go-to midrange on any occasion. We look forward to seeing how Andy finishes out his year and can’t wait to watch him compete during 2019!